NEW long-threaded jack for mono ﻿and﻿ stereo applications! 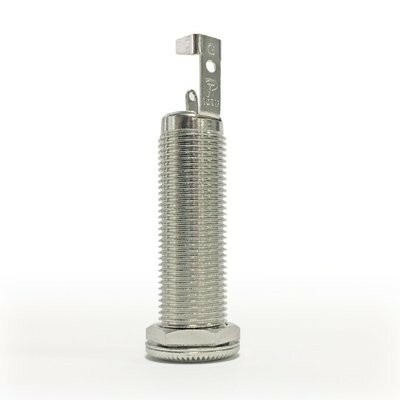 35 mm (1.38") threaded shaft length / 40 mm (1.57") overall shaft length. This new panel-mount jack boasts full contact for optimal signal and lowest possible noise. Greater surface area at all contact points creates a more stable connection, locking the cable securely in place and carrying more signal; as a result, high and low frequencies are greatly improved creating a much more balanced sound while eliminating frequency spikes. Most importantly, the Pure Tone Jack eliminates the infamous “crackle” noise caused by pressure grounds.